Insane Bus Pricing: Or maybe not being transparent enough? Diwali weekend 2nd – 4th November 2013, one expects most transport and travel services to be sold at marked up rates, maybe double. But this was quite a shocker. Mumbai – Aurangabad: Rs 3,500 on rebus, Rs 2,500 on cleartrip. Mumbai – Hubli: It’s back to the Rs 3500 level here. But here’s the catch which I found by hovering the mouse over the destination point. It said “Hubli Byepass”. Now I have traveled on this route before and I know that Hubli Byepass means this bus is moving on somewhere, Bangalore maybe. So, this Rs 3500 is probably the fare to Bangalore and irrespective of whether I go the full distance or get off the Hubli, I pay the full amount. Which is fine. Unlike state transport company services which charge you by the kilometre, most point to point private bus services operate like that. But, Redbus does not tell you this. There are enough buses going and terminating at Hubli (I have sorted this in descending order of the prices. At the lower end there are bus tickets – non AC seater – going for 800 – 1000 bucks). Redbus needs to flag these buses separately so that people know. So I checked the Mumbai – Bangalore fare. Voila! In my opinion, from a customer orientation point of view, this is sloppy and pretty much a case of misrepresentation. I am okay if you tell me that this is a Bangalore bus and the fare cannot be reduced. Then it is my choice whether I buy it or not. Last week, amongst the queue of people lining up to climb Mount Everest, was an 80 year old and a 16 year old. And because an 80 year old has done it, now an 81 year old planning to do one more. “I’ve made it! I never imagined I could make it to the top of Mount Everest at age 80. This is the world’s best feeling, although I’m totally exhausted. Even at 80, I can still do quite well. Muira has had four heart operations so far. And this is his third summit climb. 2003, 2008 and now 2013. 5 years ago, aged 75, he reached the peak on 26 May, 2008. He was then the oldest man to climb Everest. His record stood for one day. On May 27th, 2008, Min Bahadur Sherchan, then 76 years old, reached the summit. As of today, Muira is the oldest man. But Sherchan is already in base camp and planning his next attempt. One week earlier, 16 year old Nameirakpam Chinkheinganba, from Manipur, became for a few days the youngest Indian to climb Mt Everest. Apparently, in that queue behind him was a 15 year old Raghav Juneja. Here’s the story. At 5.15am Nepal time (5am IST) I finally fulfilled my dream. 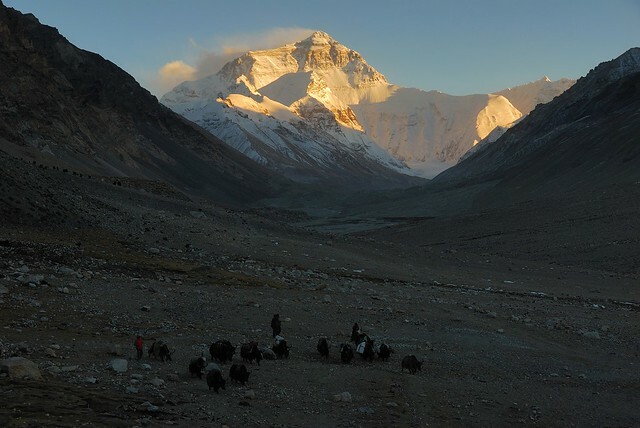 I looked around and took in the view; I could see everything — from the Camps to Khumbu Glacier and the paths that I took. It was overwhelming; I started crying. There I was, on top of Mt Everest. I had overcome the one thing that I had feared most. When I started my ascent, my family went on a fast to pray for my safe return. Many people have lost their lives while attempting this — I was scared too. Till that moment I wasn’t sure I’d be able to make it. Now here I was on top of the world. I wasn’t scared anymore. And a picture of Mount Everest. I have been following Mizohican for a while now, having stumbled upon it through some common IIMB connections. The fact that he is a drop out of IIMB appeals to me even more. It takes some pluck to decide to turn one’s back after slogging out through (and clearing) CAT and the personal interviews and putting up the fees by paying through one’s nose. But this post of mine is not about the education system. 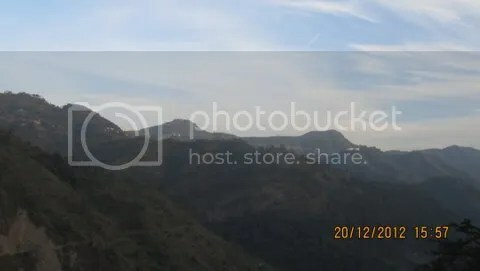 So there were three posts – Part 1, Part 2, Part 3 – about Mizohican’s (since I don’t know his real name, shall use his blog handle) trip to Mizoram to celebrate Christmas and New Year with his folks at home. With copious descriptions of the people and a stack of photographs, the three posts gave the armchair traveler a quick tour of the state (specifically the capital of Aizwal). Google Maps informs that Aizawl is at an altitude of 800m-1000m above sea level. There are mountains all over. Having been to Shillong in Meghalaya, one can immediately imagine the landscape there. Mizoram has Prohibition. There is no booze. Legally. Naturally, as in all states with Prohibition, there is smuggling. 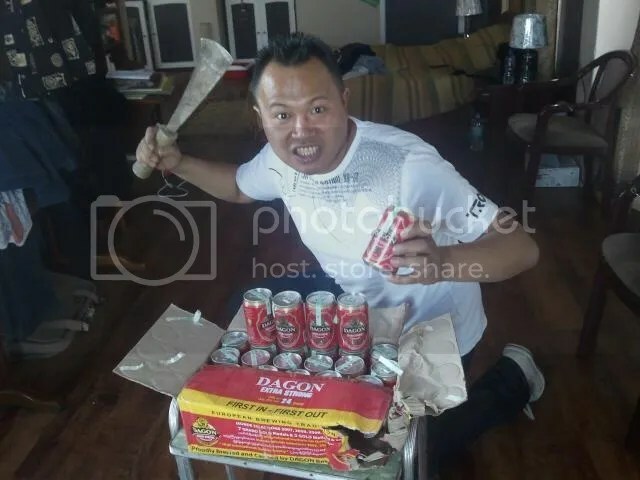 Quite brave of the lad to put photos of him with his stack of smuggled beer cans. It is only fair that one propagates his bravery by re-blogging that photograph here. The Durtlang Presbyterian Hospital is quite a grand structure and, shall I say, very similar to buildings in Shillong. And the landscape outside the city is pretty awesome. 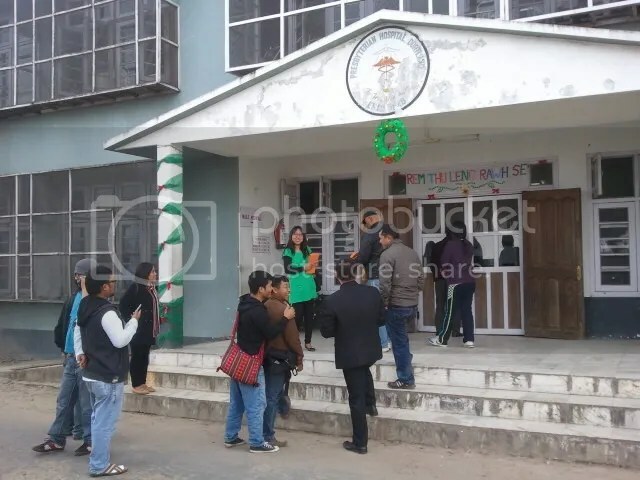 It is quite pleasing to see that the youngsters of Mizoram manage to keep their “spirits” up in spite of Prohibition, enjoying themselves with the nightlife. I am sure the glass with transparent liquid is water and the glass with black coloured liquid is Coca Cola neat (no rum spiked). And even if they are spiked, it is none of our business. 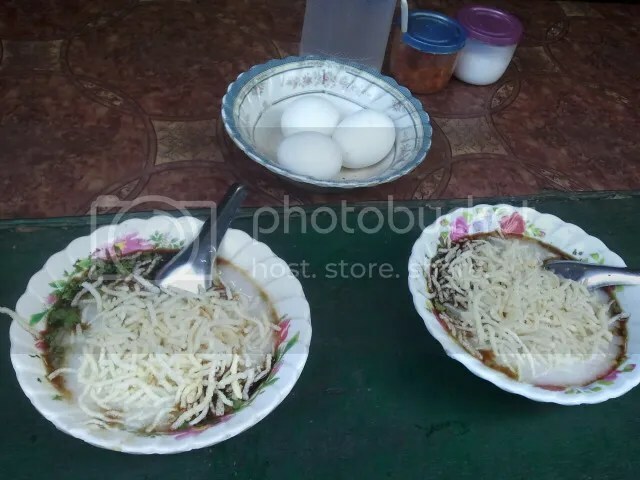 The lad in his Part 2 post mentions about Sanpiau, a street food snack. He is unaware about its ingredients and how it is made. I tried to Google it and came up with some blog posts which are in the Mizo language (using Roman script). But no English language site. So I am none the wiser about this dish. 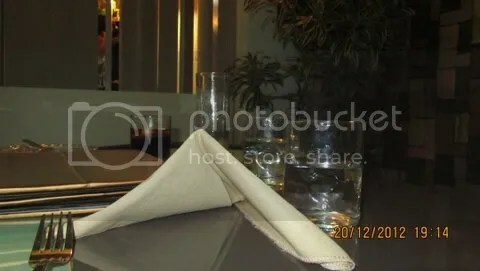 The photograph gives it a look of a noodle-soup. I suppose it is non-veg and worth a try. 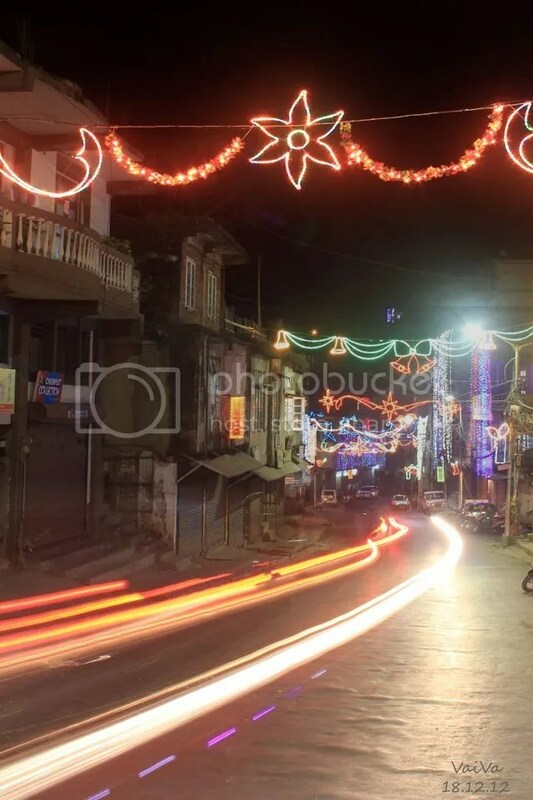 Part 3 presents the lights of Aizawl as it celebrates Christmas. Wikipedia says 87% of the people are Christians. So that is one big festival there. And the lights prove it. A trip to the north east in December is a must. I did visit Shillong in December too and it is an experience. A small but significant part of that experience is the brilliant talent of the carol singers, singers who have a natural gift with no formal training. And the burning sorrows of the villages. This from the first Sura of the Poem of the Nile by a leading Sudanese contemporary poet Al-Saddiq Al-Raddi. The original poem was in Arabic and has been translated by Hafiz Khebir and Mark Ford. And fruits and poisons spring where’er thou flowest. Clearly the earlier poets had the Nile as the main hero. Al-Raddi puts the Nile as the silent spectator winding through cities made into ghosts and villages burnt into despair by the civil wars and calamities of Sudan. Here’s a Flickriver stream of pictures of the Nile as it passes through Sudan. I have never been to Vienna. For that matter I have never been to Europe. But vicariously, using Google Maps and Tripadvisor and Lonely Planet, I have been to all the famous places. For people like me, travel photography, the really good stuff, gives some great kicks. A multi-cultural group of people living in Vienna stroll around snapping away at life, culture, structures, art and history. There is the majesty of the Austro-Hungarian empire, the silence of the wars in the 20th century, the energy of the present day and for good measure, some abstract lighting art to provide the psychedelic touch. Photo #14 by Ruxandra is a portrait of an impish looking girl whose eyes suggest some mischief is afoot. Photo #3 by Ozan captures the rich texture of a city installation. Frankly, if the signboard wasn’t there, I would have guessed a Central American or Mediterranean geography. Photo #27 by Christoph is, on the face of it, a simple shot of a small figurine seen through a shop window. But on deeper attention, one sees the muted lighting which allows the sheen of the figurine to stand out, the blurry reflection of the outside world on the glass of the shop window and the slight tilt of the head which makes the eyes of the figure stare at a space above your head. The overall visual impact of the photograph reminds one of the great tragedies that have happened in the past. But my favourite from the set is Photo #11 by Ruxandra. I do not know whether the lady knew she was being photographed or not. But there is a look of surprise, curiosity and a slight irritation on her face. A smile is half-formed, probably addressed at herself. After all, it is quite possible that being the only occupants at the pavement cafe, she finds herself as a part of a photo-op for a girl strolling with a camera. At a certain level, the act of taking a photograph does impair one’s ability to be in the moment and enjoy a first impression (a complaint that has been echoed by travel purists ever since the availability of inexpensive cameras gave rise to amateur photography in the late 19th century). But the pictures my father and I shot in New Orleans suggest that the act of photographing an unfamiliar place is a kind of mnemonic device aimed squarely at the present. In a way, those mediocre shots of the muddy Mississippi weren’t meant to be viewed later: They were their own, self-contained ritual; they were a futile attempt to slow down time. At one point, while traveling on a sailboat charter with some friends from California, I disembarked on the volcanic island of Santorini and photographed the cliff-top village of Oia, famous for its sunset vistas. My best picture of the evening — a golden-hour shot of a blue-domed church overlooking the island’s caldera — thrilled me at first, but the more I looked at it, the more it felt artificial. Digging into my daypack, I discovered the problem: Both of my Greek Islands guidebooks (a Rough Guide and a Lonely Planet) featured the exact same church, photographed from a similar angle, bathed in the same late-day light. Reckoning that a confessional gesture might redeem my own predictability, I turned away from the church and photographed the village terrace behind me: It was populated by dozens of digital-camera-clutching tourists, angling for the same shot I’d just taken. This ironic new Oia photograph was, in a sense, a self-portrait. It’s not the photo but the photographer and the point of view.